If you are looking for a tooth replacement solution that offers unrivaled stability and longevity combined with a natural appearance and comfortable fit, then look no further than dental implants. This revolutionary treatment has transformed the way in which dentists can replace missing teeth, enabling patients to embrace a restoration that is closer to a natural tooth than previously possible. We are delighted to be able to offer exceptional comprehensive dental implant services performed by our experienced team at our offices in Worcester, MA. This is custom-designed to fit in the space left by your missing tooth and is created in the perfect size, shape, and color to match your surrounding teeth. This helps to ensure that the artificial tooth is as discreet and natural as possible. This acts as an artificial root for the tooth and ensures that the restoration has no impact on any surrounding teeth. The post is inserted into a pre-determined point in the jaw bone, via an incision in the gum tissue. Since bone is a live material, it will heal around the implanted titanium post, anchoring it permanently. This process is called osseointegration and takes place over several months. The success of dental implants relies entirely on osseointegration. If it fails, the implant won’t be secure and will come out. Dental implants can replace single or multiple missing teeth. While single implants are supported on individual implant posts, implant-supported bridges or dentures are typically placed on anywhere from four to eight implant posts. How are the locations of dental implants determined? ​​​​​​​What are the benefits of dental implants? Since the implant root is encased in bone, the foundation for your artificial tooth is incredibly secure as well as being permanent. This added strength and durability makes dental implants an extremely worthwhile investment in your dental health and the appearance of your smile. Dental implants are so secure that they are unable to slip and move around inside your mouth. This eliminates embarrassing attention when eating and speaking that is all too common in wearers of dentures. You can speak, laugh, eat, sneeze and even kiss without needing to worry that your implant will come loose. As well as not drawing any unwanted attention, your custom-designed crown which makes up the visible part of your tooth is designed to blend in with your existing teeth. Most patients find that nobody can tell that they have a tooth which isn’t real. Some dental restorations are well known for being uncomfortable to wear. Dentures can rub against the delicate tissue of your gums, while bridges can place undue stress on neighboring teeth and cause pain. Dental implants are standalone and have no impact on natural teeth or tissues meaning that they are completely comfortable to wear. Dental implants cannot decay like regular teeth. However, this doesn’t mean that they don’t need to be cleaned properly. 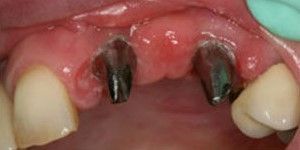 They must still be brushed and flossed to prevent the accumulation of plaque and tartar on them and to keep periodontal disease at bay. Fortunately, because they look and act just like regular teeth, they are extremely easy to clean, and this enables the wearer to enjoy better oral health. 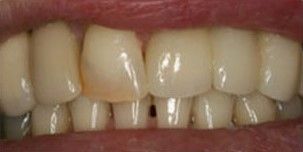 If you have a bridge or dentures, you are probably fed up with the maintenance visits that you need to make to your dentist to have them repaired. However, since implants can’t be removed and are super-secure, they have very few maintenance requirements. This means fewer visits to your dentist’s office and less money spent on dental treatment. Dental implants both look and act just like natural teeth. Not only will your smile be cosmetically enhanced, but you will have greater confidence in your appearance, and this will shine through in everything that you do. If you would like more information on our dental implant service, or if you would like to book a confidential consultation to discuss whether you are a suitable candidate for this solution, please don’t hesitate to contact our offices in Worcester, MA today by calling (855) -849-8255. We're changing lives through modern dentistry. Dr. Levenson has improved the quality of life for patients in Worcester, Central Massachusetts, Shrewsbury, Holden, Northborough, and the surrounding areas for more than two decades. Call our Worcester, MA dental office today to reserve your personal appointment with Dr. Levenson. For your convenience, we offer evening appointments and flexible payment options. When might patients in Worcester, MA consider dental implants?